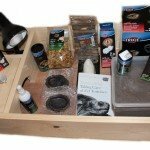 If you need more information to get even more dialed in as to what to feed your pet, the best places for you to go are your local museum, plant nursery, specialist vet or reputable tortoise group. More information topics to obtain can include what plants to feed in your local area, what is edible and what is poisonous. One of the many great advantages of housing outdoors is that you can let your tortoise eat naturally and browse on what is in the pen. Horsefields will naturally eat the right amount of food and not overeat, preventing obesity. 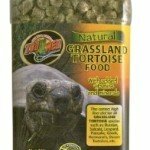 This works well because it takes much of the guesswork out of feeding your tortoise. They can eat the grass, weeds, dandelions, wild plants etc. in the outdoor setting. Some will naturally grow in the housing and you should also definitely plant and grow others in his housing, which will serve as a hiding spot and to browse on. This natural browsing mixed with a variety of food you provide will be an excellent diet. Occasionally, you might see your tortoise eat an insect. This is perfectly normal, as this is a small portion of their diet in the wild. 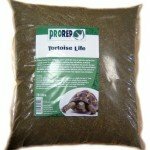 If there is enough grass, weeds and plants in the housing you may only need to feed your tortoise 1 to 3 times a week. Sometimes Horsefields partake in Coprophagy, the act of eating ones feces, or others. They do this because their digestive system is very basic and much of the nutrients are not absorbed the first time. Don’t be alarmed, it’s okay for them and there is usually nothing to be done on your part about this. Served food on a flat rock, food bowl or anything else that will keep his food separate from the substrate and sanitary. It can be hazardous to serve on substrate if they ingest substrate materials such as sand, dirt, mulch etc. Clean and sanitize their feeding area several times a week and remove food at the end of the day. Either serve food in small amounts once a day or larger amounts several times a week. You can figure out what works best off his reaction and your own schedule. The best time to give him food is in the morning or evening (when he is most active). 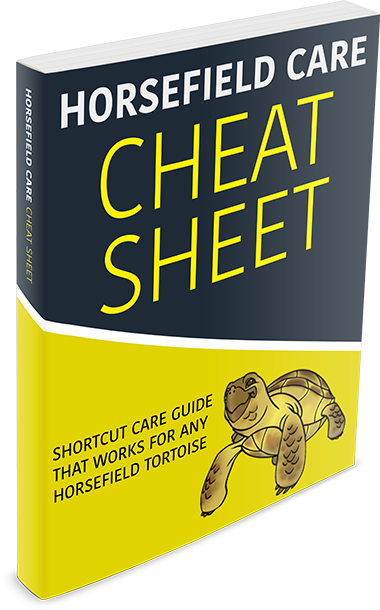 You need to feed your tortoise the right amount of food because overfeeding or underfeeding can both have their own health related issues. A high food intake will increase his growth rate but this is actually not a good thing. It is unnatural and they should not grow too fast. It is much healthier to feed him a medium amount of food and see average growth. Knowing the right amount to feed your tortoise is subjective. There is no one-size-fits-all answer. This will depend on your tortoise’s size and age. Experiment and watch how much he eats. Also see he doesn’t eat as an indication of his dislikes. You should mix several different food items together into a salad-looking dish for him. Leafy greens, shredded vegetables and a little cut fruit is an ideal meal for him. Remember variety is the key; the more variety the better.